To send the letter below, please provide your personal information. Yes, I would like to receive periodic updates and communications from WildEarth Guardians. 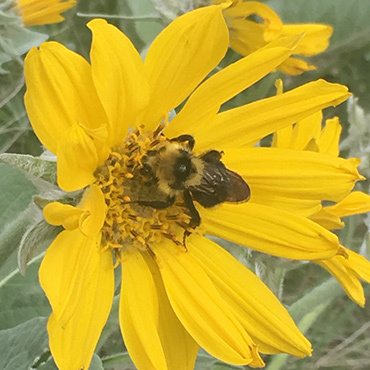 I am calling on you to reject the Poisoned Pollinators Provision in the 2018 Farm Bill (H.R. 2, the Agriculture and Nutrition Act of 2018). This attack on key Endangered Species Act (ESA) protections for our pollinators and other imperiled species is shortsighted and extreme. More than one third of the U.S. food supply is pollinated by birds, bats and insects. These native pollinators provide an estimated $3 billion in crop pollination services every year. Iconic species including Pacific salmon, steelhead, orcas and California condors are also threatened by pesticides, and this provision would undermine their recovery as well. At least 300 currently imperiled species are threatened by pesticides, making pesticides' regulation key to preventing extinction. Along with harming individual species, this irrational provision could result in damage to ecosystems, further imperiling our farmers' productivity and the ecosystems on which we all depend. It makes absolutely no sense to undermine protections for these essential species in a bill designed to help agriculture. Congress has never exempted a single class of federal actions from the requirements of Endangered Species Act Section 7 consultations or waived Section 9 liability, making the Poisoned Pollinators Provision in H.R. 2 one of the most sweeping attacks on the Endangered Species Act in the law's wildly successful existence. The purpose of the Farm Bill is to support farmers, help feed our country and fund key conservation measures for wildlife and working lands for the benefit of all Americans. The Poisoned Pollinators Provision undermines each of these fundamental goals. You must strip the Poisoned Pollinators Provision from the Bill or reject the Bill entirely.